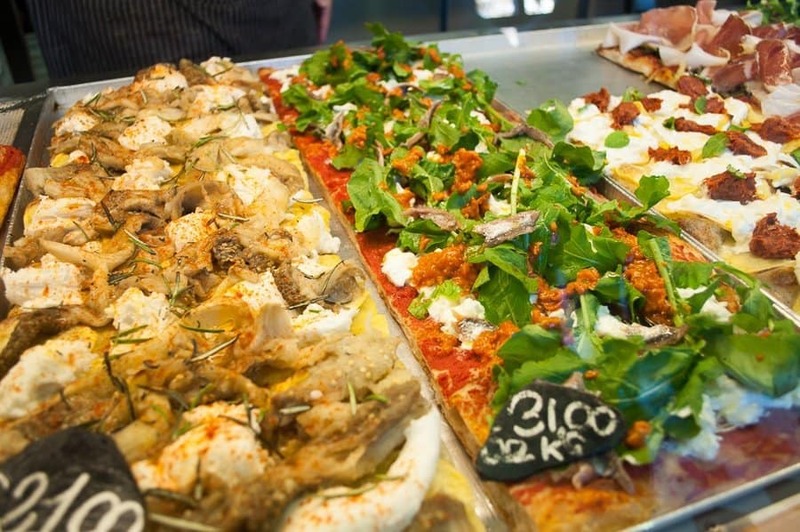 Regular readers will know that a good food tour is one of my favourite ways to explore a city. Rome was no exception. 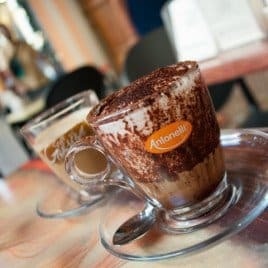 A culinary encounter with The Roman Food Tour took my taste buds on an adventure around the city on the best Rome food tour ever. We devoured over twenty food and drink tastings during our mouth-watering tour. They’re not joking when they say ‘bring a healthy appetite and high expectations’. We met our guide, the lovely Jessenia, from The Roman Food tour at the Cipro Metro station in the Prati district near to the Vatican. 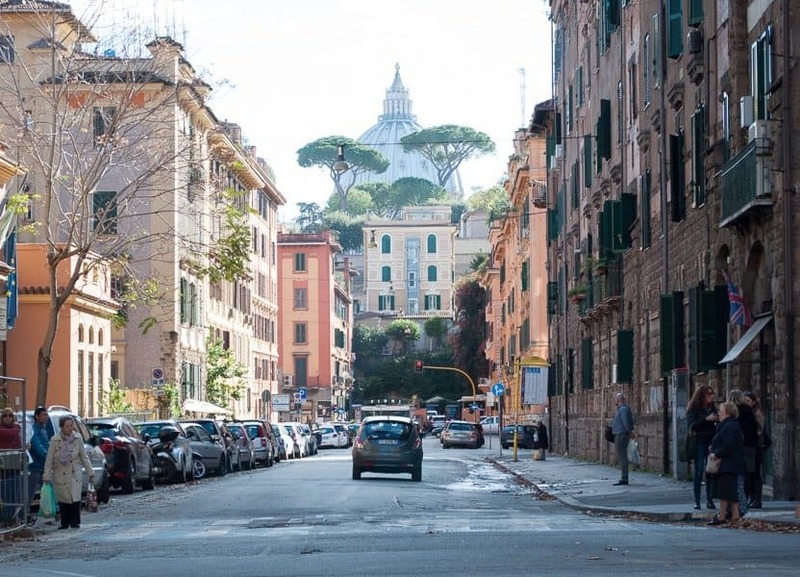 The Roman Food Tour is a small independent company run by locals. Small groups keep the tours personal and friendly. We were six. 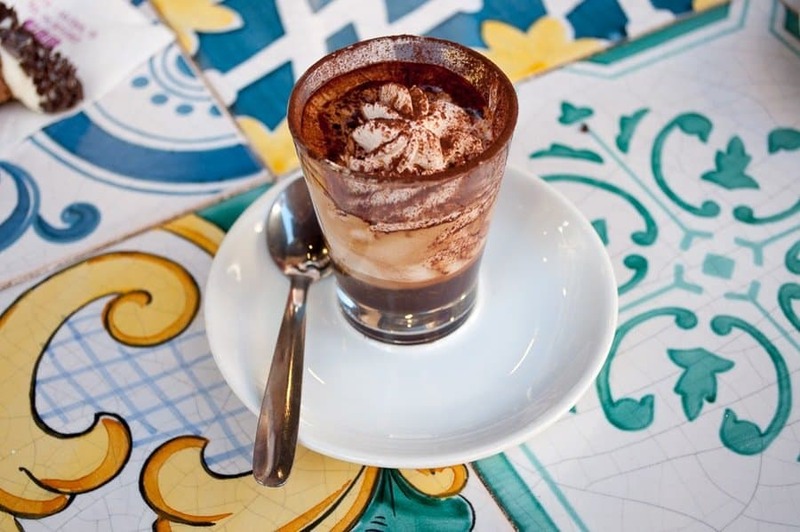 When in Rome… start the day with coffee and, if you’re lucky, cannoli. Our first stop was at La Cannoleria Siciliana for coffee and cannolo. Jessenia spilled the beans on how you can pay less for your espresso (drink it at the bar standing up), what you should drink first the espresso or the water (water) and why you shouldn’t drink a cappuccino in Italy after 11 a.m. My Caffe Marocchino, a shot of espresso with milk froth, cream and dusted with cocoa powder was totally decadent. 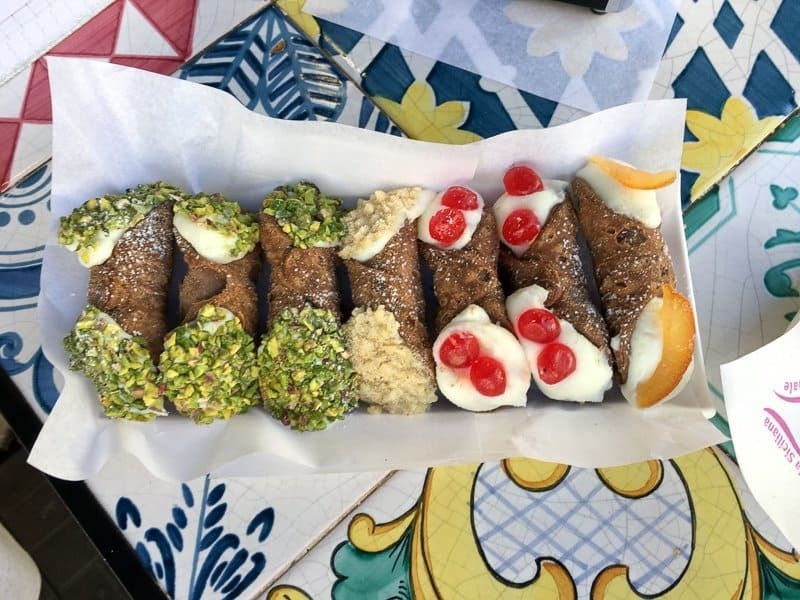 We watched, enthralled, as our crisp cannoli (little deep-fried pastry tubes) were filled with sweetened ricotta cheese and the ends lightly pressed into a delectable variety of toppings. Our coffee and cannoli were the perfect start to the tour and a nice icebreaker as we all compared coffees and cannoli toppings. Travelbunny tip – don’t buy pre-filled cannoli to eat later – the tubes will go soggy. A short stroll finds us at The Pizzarium run by pizza master Gabriele Bonci aka the ‘Michelangelo of pizza.’ Here, without doubt, I devoured the best pizza ever. The same spelt flour used by the Romans makes the pizza bases and is risen for 72 hours. Biting into the soft light base was a dream. Artisanal toppings come in combinations that are inspirational and amazingly delicious. Italians are extreme seasonal eaters so toppings vary over the year. We were in winter mode. Think soft potato on the base with roast beef, Parmigiano-Reggiano and peppery rocket or how about a spread of pumpkin purée topped with Sicilian broccoli and the crunch of hazelnuts. The topping of spreadable salami, with caramelised onions and a glob of creamy buffalo mozzarella is inspired. Drooling yet? Sold by the slice, the pizza is cut to size with scissors and priced per kilo according to toppings. Everyone in the group chose a different flavour and we all tried bite-size pieces of each. Any time I’m in Rome I’ll be going straight back to Pizzarium for pizza. Sensory overload hits as we poke our noses into La Tradizione. 150 types of cured meat, over 400 cheeses, oils, aged balsamic vinegars, truffles and every gourmet indulgence you could imagine line the shelves and cover every counter. Tradizione means tradition and that’s the ethos behind the foods stocked. You’ll find unique, artisanal foods produced using age-old near forgotten techniques. 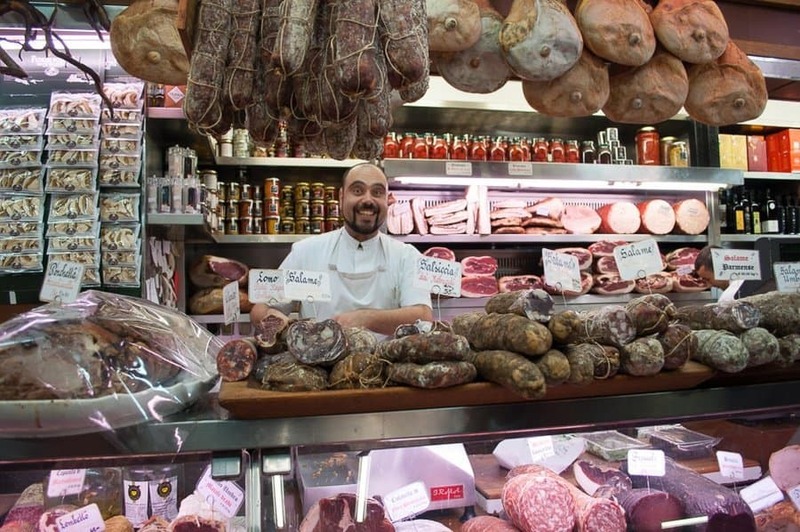 Unlike the salumi we don’t hang around – it’s Saturday and the locals are getting their weekend food in. 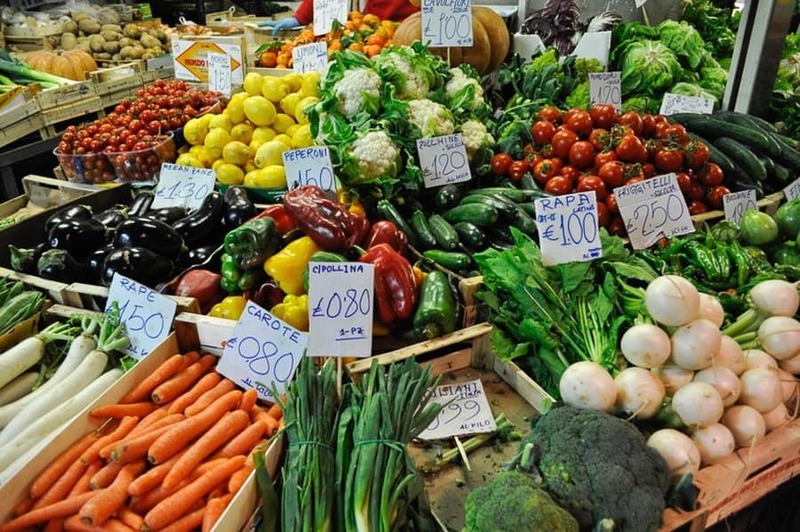 We head for the shop’s partner restaurant Second Tradizione Restaurant nearby to taste some of the shop’s produce. Jessenia’s heading back that evening to celebrate a friend’s birthday. Always good to know where the locals eat. We try two types of DOP cheese and prosciutto with fig marmalade, 30 year aged balsamic and a glass of 2015 Merlot from Lazio. Jess’s knowledge is vast. We learn about the different cuts of meat; prosciutto comes from the hind leg and pancetta from the belly of the pig. We try two types of ham and then reaveal to the group our favourite. Jessenia informs us one costs €20 and the other €420 per kilo and we need to work out which is which. Most of us chose the more expensive meat which just goes to show you get what you pay for. The cured hams came from two different pigs reared in two different countries, fed on different diets and the meat cured in different ways. Jess knows her cheese. Cow, goat or sheep; she know’s which animal milk produces each cheese as well as the region it comes from and the diet it was reared on. ‘If it grows together it goes together’. She’s clearly passionate and very knowledgeable about good quality food and the slow food movement. I’m beginning to wonder if I can eat any more but Rome’s largest and most authentic market, the Mercato Trionfale, beckons. 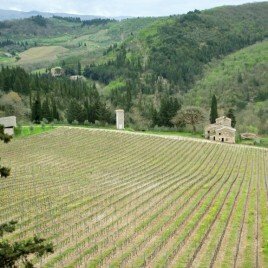 We learn about DOP (Protected Designation of Origin) produce and wine labelling with tastings from different Italian wineries. 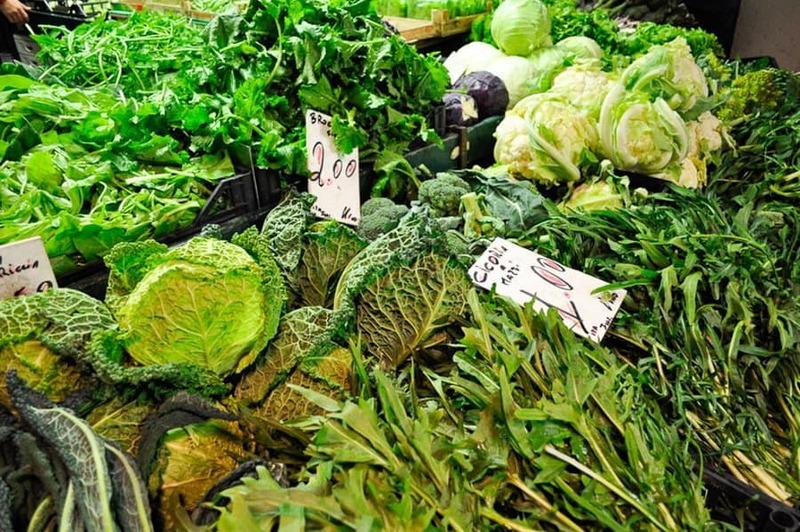 The market is huge and colourful with an incredible array of home-grown produce, smells and sounds. The producers and shoppers here are very serious about their food. We sample a luscious Caprese salad. 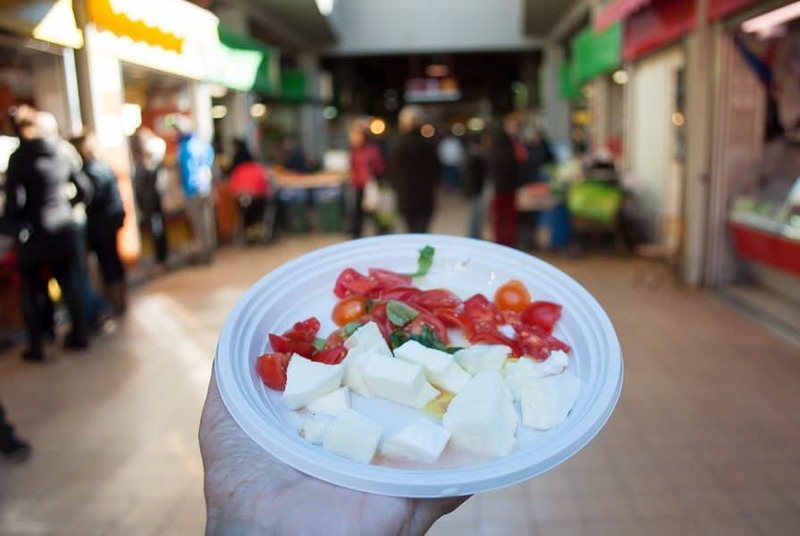 It’s served on a plastic plate and eaten standing up in the middle of a crowd of people doing their weekend food shop but the creamy buffalo mozzarella and fruity tomatoes with a hint of fragrant basil is sublime. The group falls silent in mutual appreciation as we tuck into pasta and aubergine in a rich tomato sauce topped with Parmigiano Reggiano. By now we’re desperately hungry(!) so it’s time for a spot of lunch at Al Giardino del Gatto e la Volpe. Nando and Angela have owned the restaurant, a neighbourhood treasure, for 57 years. More recently their sons have also become involved in the business. The family believes in using fresh authentic ingredients to service simple, healthy cuisine. We start with a glass of Prosecco; the bubbles break up fat in the mouth and allow you to taste things better. That’s a good reason to start every meal with Prosecco. 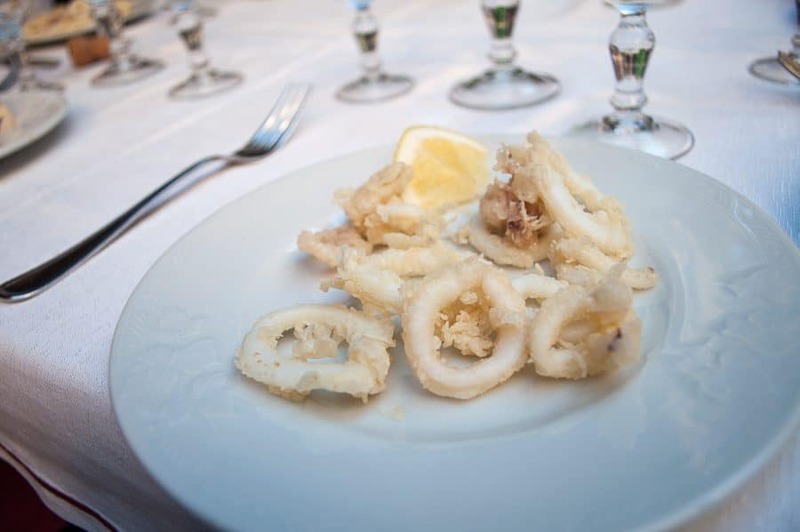 Calamari fritta, delicate, tender and fried in the lightest of batters is our starter. 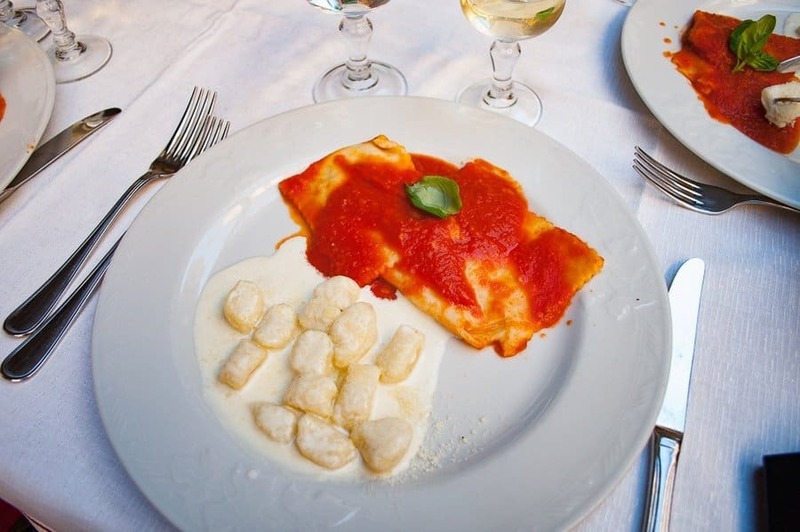 Spinach and ricotta-filled ravioli paired with gnocchi and a DOCG Vermentino wine follows. Angela came out from the cuccina to see how we were enjoying the food. She’s been making gnocchi every day for decades and confides ‘it’s easy to make but difficult to perfect’. I think she’s got it down to a fine art. We sit and chat whilst enjoying the food and decide that Jessenia has the best job in Rome. She doesn’t disagree. I’m fit to burst at this point but there’s always room for gelato right? Our tour ends at artisanal gelateria Fatamorgana who make gluten-free gelato from entirely natural ingredients. We learn how to spot fake gelato. If it’s bulging out of the container it’s probably filled with powdered emulsifier. Fake. If the colour’s bright and intense it’s probably fake. Flavours should be subtle; if not then it’s probably fake. The menu has some unique combos like basil, walnut and honey or grapefruit and lemon sorbet with horseradish. I’m in heaven with a serving of cinnamon cream accompanied by my favourite gelato flavour pistachio. Our four-hour walking tour finishes and we say our goodbyes. 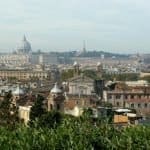 The Roman Food Tour took us on an outstanding, totally indulgent culinary and cultural encounter in the Eternal City. If you’re looking for a food tour I can absolutely 100% recommend this one. Many thanks to The Roman Food Tour who hosted me on this occasion, however, all opinions, thoughts, and calories consumed are entirely my own. I have a friend that says .. that the worst thing about Italian food is that you get hungry again after 4 days. *smile … where do you put it???? Personal I have mixed feelings about Italian food .. I love it and I don’t like. I love walking around on markets. And I don’t like Italian Ice cream … I know, it’s something wrong with me. *smile – I’m sure I will all be flying high on food adventures after my visit to Florence. Beautiful post again. Ah you’re going to Florence – I adore Florence. I also prefer gelato to ice cream, so much smoother and actually healthier! You been to Florence and not Sienna … what happened there????!!! I’m going out of season, early spring – so I got a really good deal on a historical B&B (http://www.ilvillino.it/). Flying Air Berlin with change in Dusseldorf. Not cheaper to fly to Pisa and I have to change into bus a train from there. Now I understand … then I will have things to tell you about Florence for a change. 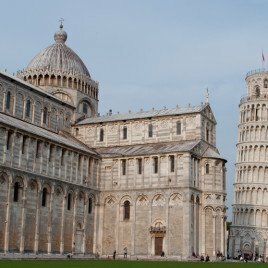 I was looking at doing like you did, but it’s not cheaper to fly to Pisa from Copenhagen … and also it takes longer time. I love trains, very relaxing. Flying is very stressful those days. There’s some excellent food tours around Suze 🙂 You wouldn’t want a soggy one – holy cannoli! 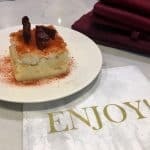 This sounds so delicious – I love food tours as you find the best quirky and traditional places, plus usually some history and culture too… and fabulous food obviously. If you take a tour early in your stay you can go back and eat at all the local gems the tour took you to! 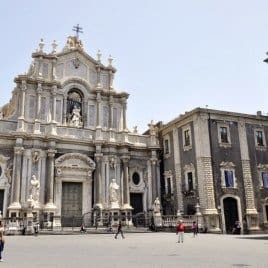 I too am a massive fan of food tours & my hubby has never been to Rome so this is absolutely going on our list of things to do! I am a huge fan of cannoli anyway but the pizza, gnocchi & calamari all sound so fabulous that for once my sweet tooth might have some competition! You’ll be off to a sweet start with cannoli and coffee Shikha and then the tour just gets better and better. I can’t recommend this enough! You can tell the standard of this tour from some of those memorable pearls of wisdom e.g. gnocchi being ‘easy to make but difficult to perfect’. Also, I’ve never read about such ingredient combinations on pizzas as those featured in The Pizzarium, very intriguing – goes to show how what we buy at supermarkets usually bears little resemblance to the real thing! Food tours are such a good way to learn about a new destination. I’ve gotten to the point where I try and schedule one in each new place I visit, especially if traveling solo. It’s a great way to get the lay of the land and learn about different restaurants. Not sure when I’ll be back in Rome, but will try The Roman Food Tour if and when. The food looks scrumptious! 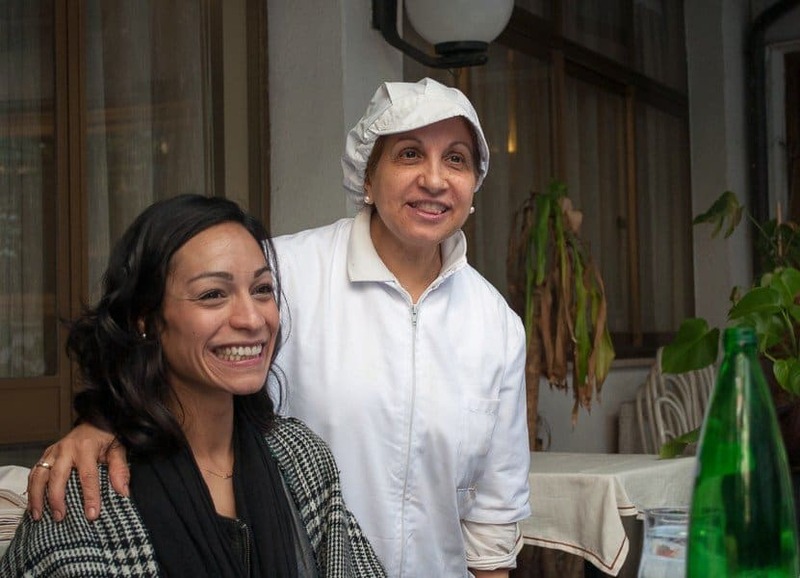 I always enjoy a good food tour – people are so passionate about their country’s food so it’s a great way to interact with locals who really know where to find local gems. Sounds so good! Like that there’s such a diverse range of dishes involved too, with some unexpected and some more unusual. 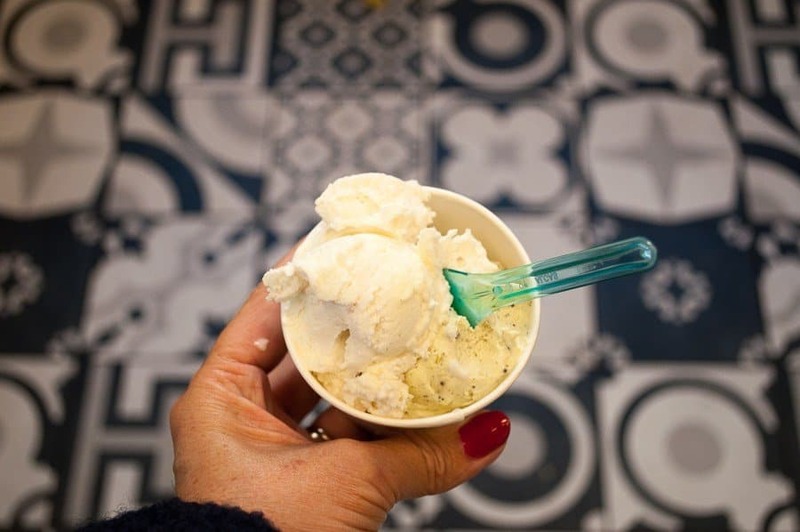 And there’s definitely always room for gelato, however much you’ve already eaten! It was one of the best food tours I’ve been on – we visited so many neighbourhood gems. I definitely know where to go back to next time I visit Rome! It’s one of my favourite ways to discover a city. I like to do it early on in the trip because you usually discover some local hotspots which you an re-visit later. Heather it was one of the best I’ve been on – the people running the tour and the people we met during it were so passionate about their food. As you say always good to have an insight into where the locals are eating so you can drop back later.